2006-2008 BMW 3-series (E90 / E91). 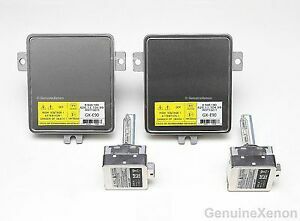 2x NEW 2006-2008 BMW 3-series E90 Xenon Ballast & Bulb Set. This ballast has been developed exclusively for GenuineXenon. Built with high-quality surface mount and through-hole components from leading manufacturers. No big differences vs original , just amazing!! Excellent quality and works amazing...everything is perfect!! !